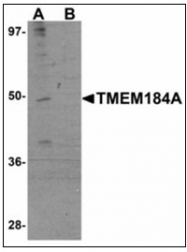 Western blot analysis of TMEM184A in rat brain tissue lysate with TMEM184A antibody at 1 µg/ml in (A) the absence and (B) the presence of blocking peptide. 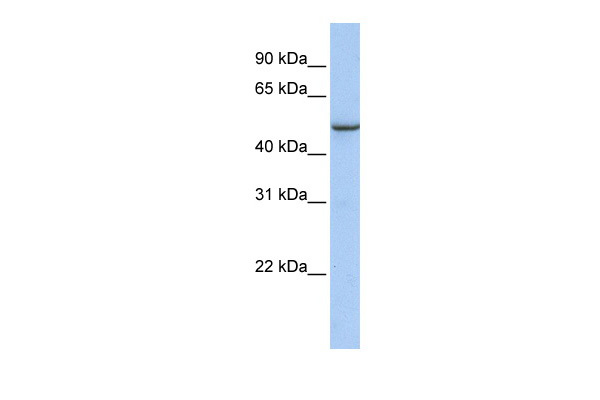 Western blot analysis of TMEM184A in rat brain tissue lysate with TMEM184A antibody at 1 ug/mL in (A) the absence and (B) the presence of blocking peptide. 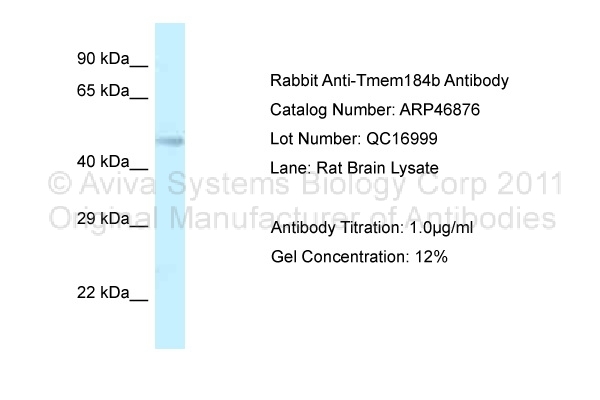 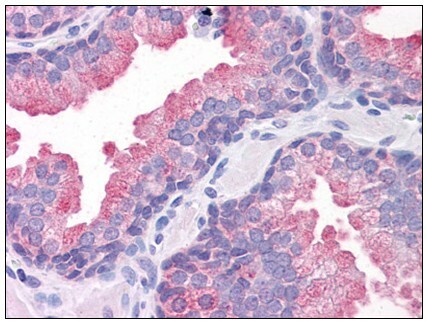 Immunohistochemistry of TMEM184A in human brain tissue with TMEM184A antibody at 5 ug/mL.